See How the 2016 Nissan Altima Compares to the Competition near Bridgeport! If you’re searching for the best all-around sedan, look no further than the 2016 Nissan Altima. The new Altima boasts impressive fuel economy, advanced technology and a comfortable cabin, and it’s a clear-cut winner when compared to rivals such as the 2016 Ford Fusion, 2016 Honda Accord and 2016 Hyundai Sonata. Take the time to weigh your options, but know that we’re right here waiting to show you your ideal Altima model and set you up with a test-drive. Not many cars can offer the exact combination of efficiency, performance and tech features you’ve been dreaming of, but the 2016 Nissan Altima is one of them. We understand you have a variety of sedans to choose from, but you’ll find the Altima tops the Fusion, Accord and Sonata in a variety of categories — including highway mileage (an EPA-estimated 39 mpg). A 2.5-liter 4-cylinder engine with an innovative Xtronic CVT® provides you with a smooth ride, while standard features like an Advanced Drive-Assist® Display and a Tire Pressure Monitoring System with Easy-Fill Tire Alert make it easy to focus on the important things. You can also choose to include a RearView Monitor and other safety features like rear cross traffic alert, forward emergency braking and more, meaning it’s easy to protect all of your precious cargo. Plus, with options such as a Bose® Premium Audio System and NissanConnect℠ with Navigation and Mobile Apps, everyone will have a fun experience. 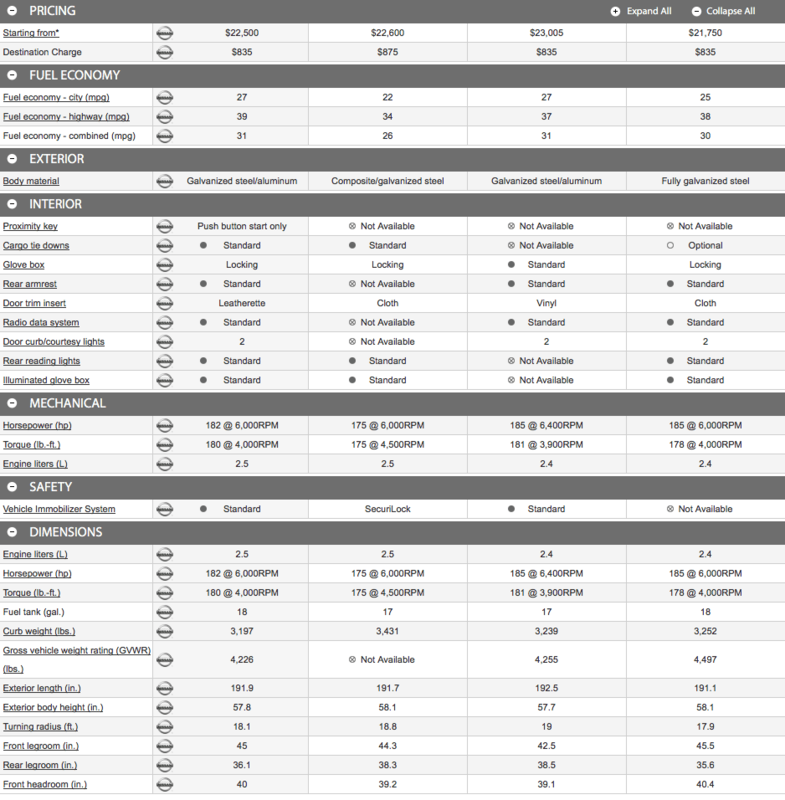 our comparison chart to explore the 2016 Altima more in depth and see exactly where it edges out other sedans in its class. We’re confident you’ll find selecting the Altima to be a no-brainer, so come to our Nissan dealership near Bridgeport, CT, to buy or lease your very own model!